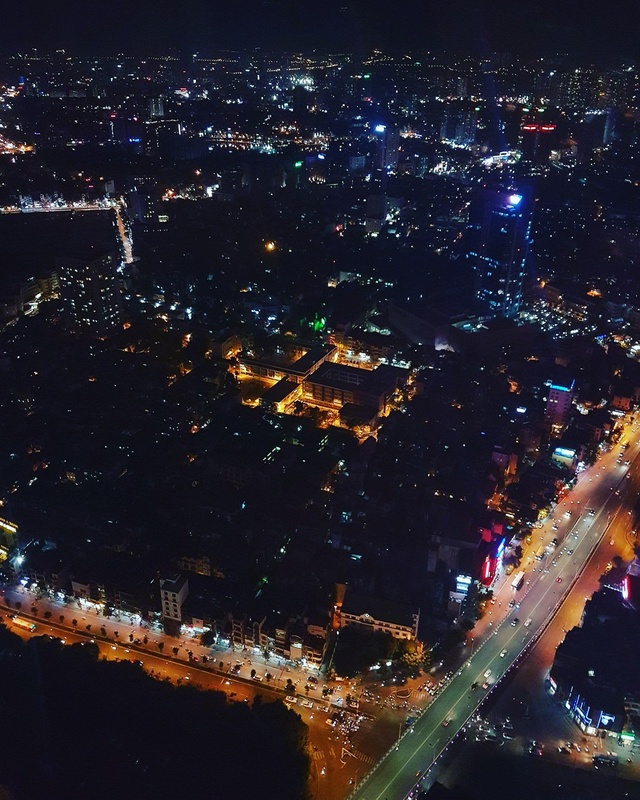 When in Hanoi, visiting the Lotte Tower is an absolute must. It’s a short drive from the Old Quarter (where most tourists stay) and for someone unaccustomed to Vietnam see public transport, such as myself, get yourself a driver. Side note, the taxi fare out of the gridlocked Old Quarter is guaranteed to skyrocket so we picked up an Uber and it cost us next to nothing. 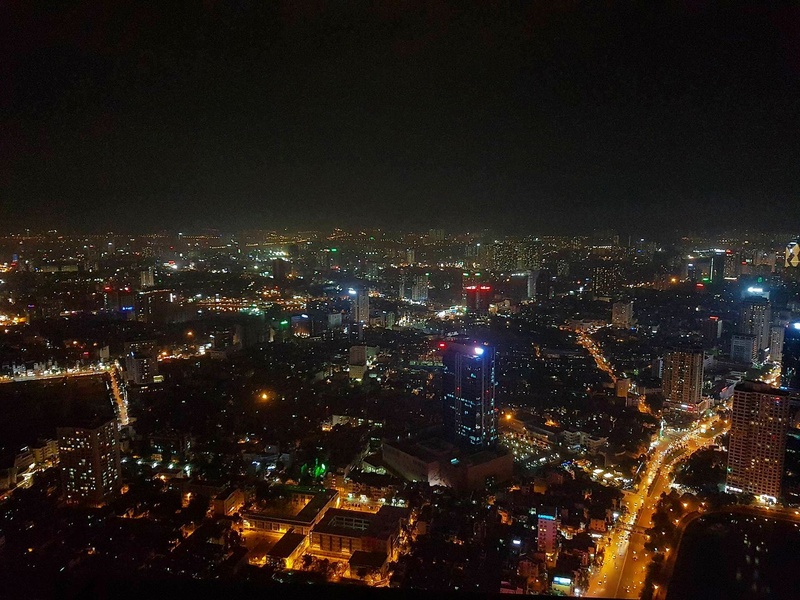 The Lotte Observation Deck sits over sixty floors above Hanoi and boasts breathtaking panoramic views. It’s open day and night. We went at night and thoroughly recommend it. For a modest entrance fee, the observation deck offers interactive experiences for people young and old. The highlight for me was the glass skywalk, where you take your shoes off and walk right out into the night sky- not for anyone with vertigo! 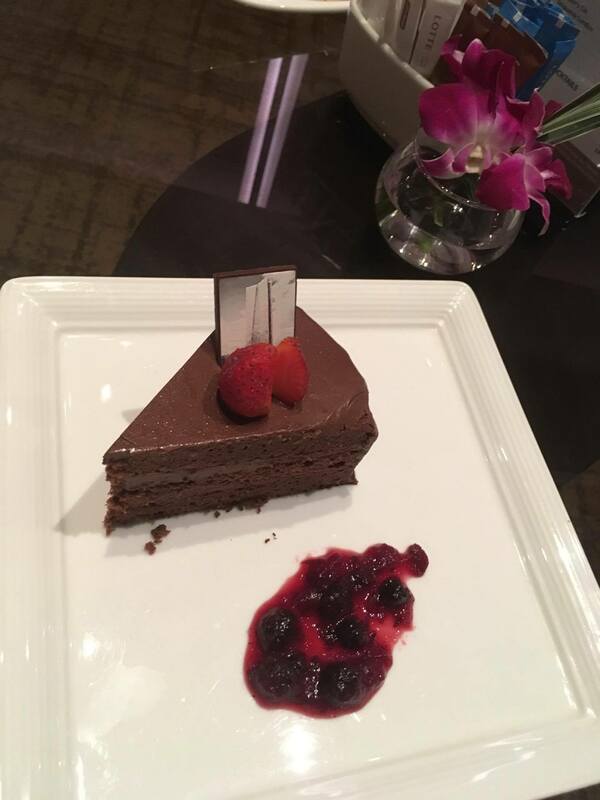 The Lotte tower also offers a range of eating options, so I recommend making an evening out of the experience. At the skydeck there’s a fast food eatery or two, but if you delve a little deeper, you’ll find award winning restaurants and bars within the Lotte tower. Top of Hanoi is literally the top of the city. This open-air restaurant sits you up in the clouds, overlooking all of Hanoi, the twinkling traffic, the city glow. You can secure yourself a table through reservation, but we were able to walk right in. The cocktail bar is exciting and innovative, and their mains are reasonably priced given the location. We were shocked that we were sat on top of Hanoi and didn’t have to pay an arm and a leg! My friends chose pasta dishes and I had a pan-seared salmon dish- the food was to die for. The service personnel here were very attentive, friendly and ready for a chat. This venue is worth it for the food, and the magnificent views. Afterwards, we weren’t ready to go home. We headed down about thirty floors to the lounge where we were greeted by live piano, sleek aesthetic and deep sofas. 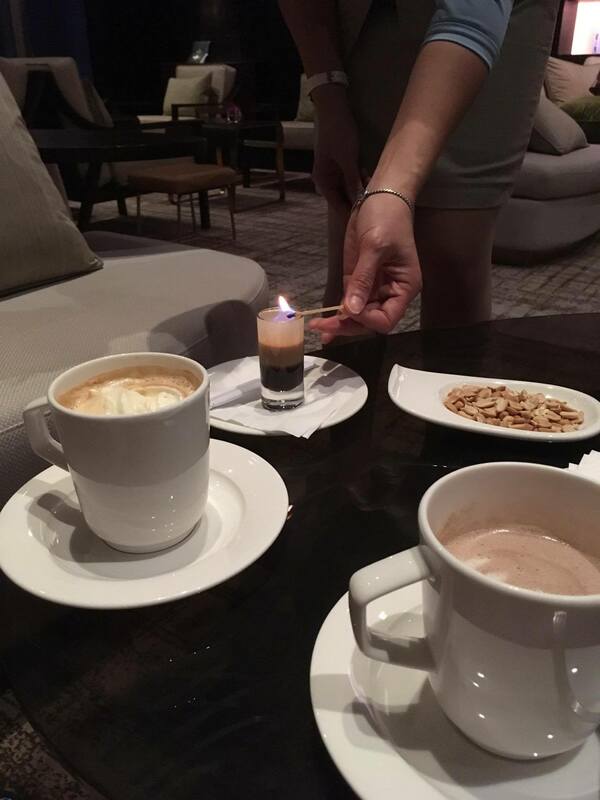 The dessert and cocktails there make for the perfect ending to a wonderful night. Traveler’s note; I compared this experience to a similar one I had at Marina Bay Sands in Singapore. For me, this evening was much more relaxed, affordable and all-inclusive as the stunning view was paired with fine food and great service. It was honestly the perfect way to unwind and celebrate the end of our trip to Vietnam. 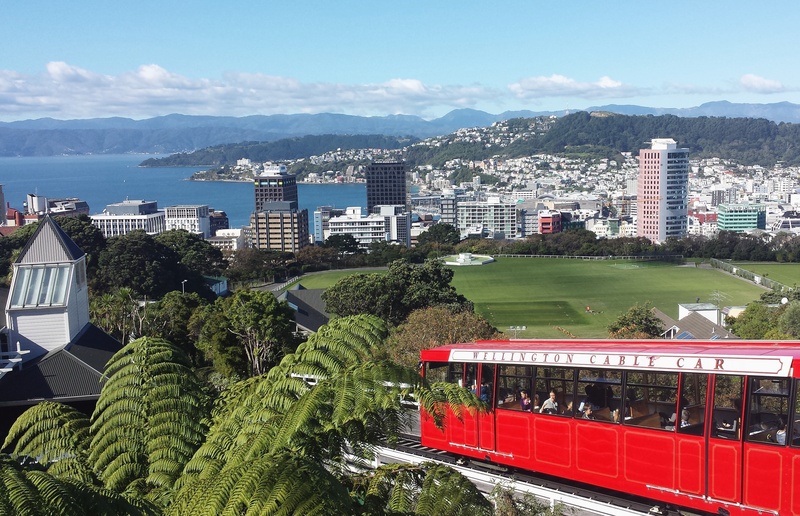 The Wellington Cable Car is such fun. It’s only a short ride to the top of the hill, but the view is well worth it. The tunnels on the way up has rainbow lights and all the kids go wild. I Loved seeing the houses on the hill, the whole neighbourhood seems so relaxed and calm. The view from the top is sublime. Clear blue harbour, majestic mountain range, perfect little houses in the distance. We Took the train up and walked through the botanic gardens back down to the city which was a really pleasant stroll. 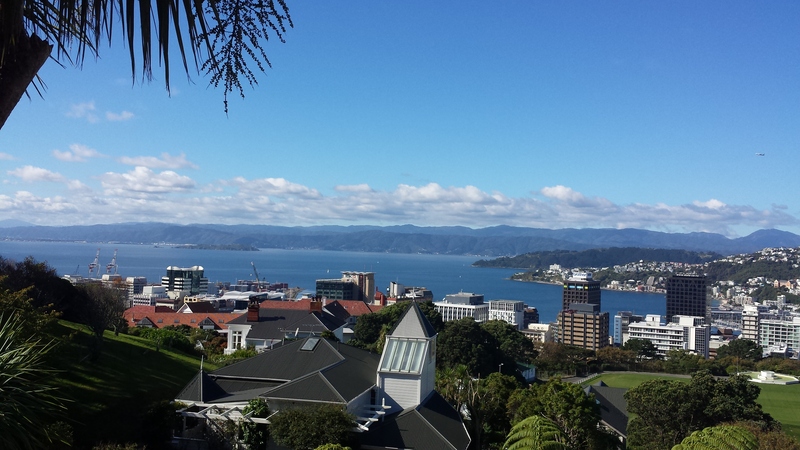 A must do in Wellington. 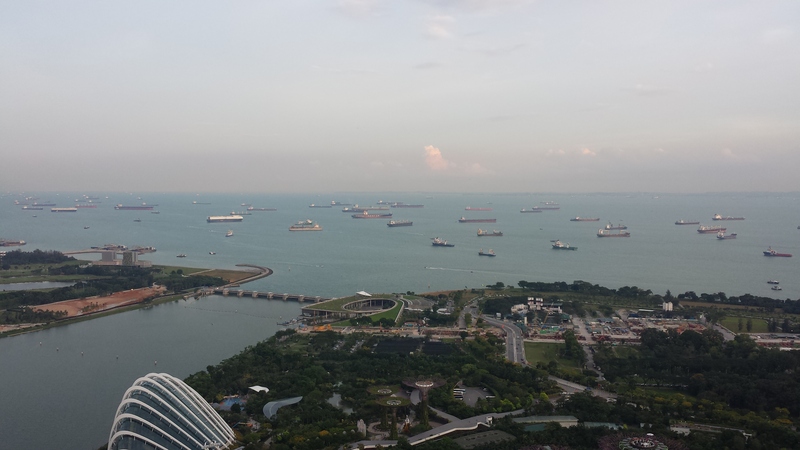 The Marina Bay Sands Skypark is a must do in Singapore. You’ll get unparalleled views of the Harbour and surrounds- the sea, the port, gardens by the bay, the central business district, the suburbs. 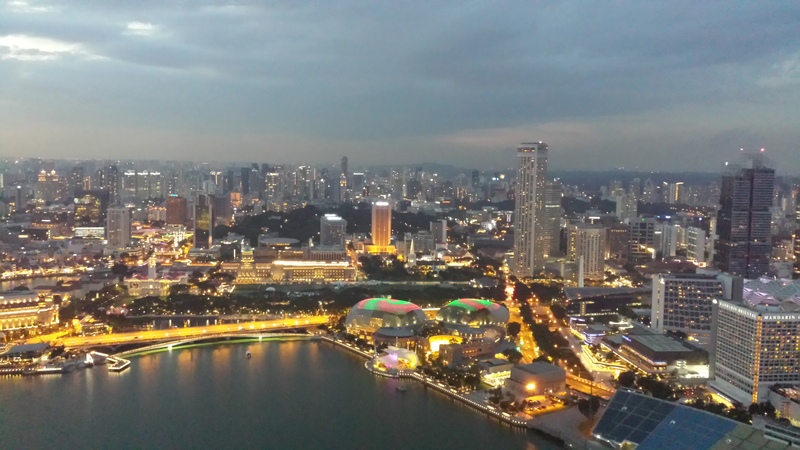 I highly recommend you time your trip to be at the Skypark at sunset. That’s when you get majestic skies and the city lights twinkle and awaken. If you wait even longer, you’ll get a light show on the Harbour (but I disappeared before then to grab a bit to eat). 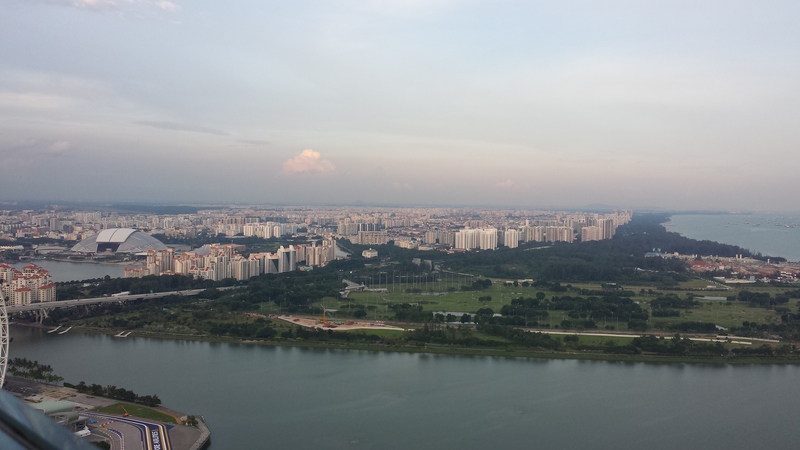 The Skypark itself runs like a machine. 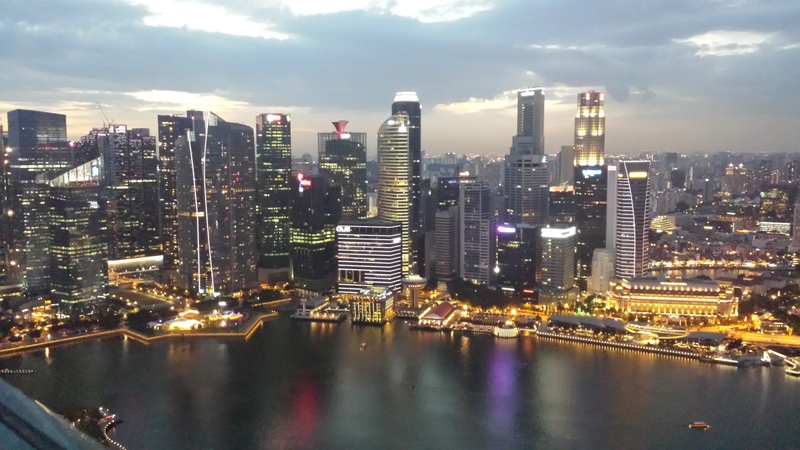 It costs about $26SGD per person to get to the top, and you’ll find it can get very crowded up there. There are trinkets and food/drinks available up there but if you don’t want to be hit by tourist prices for a meager hot dog, then eat before you go. There’s always the option of having dinner up there, but reserve a place as I don’t think they take walk ins and it gets filled pretty quickly. Also, don’t expect to be anywhere near the famed infinity pool. Lastly, the queues to leave are long and windy as there are only 2 lifts available up to the SkyPark, so leave yourself a loose schedule because you could be waiting a while to get down. All in all, the experience is worth it. The panoramic views are breathtaking and the rest of the experience is just incidental.